Tatem, George S., 86, a life time resident of Cape May Court House died at his home on Monday, April 16, 2012. George was born in Camden to the late Howell Tatem & Elsie Janice Smith. He was a Salesman for Seashore True Value of Stone Harbor and retired in 1989. 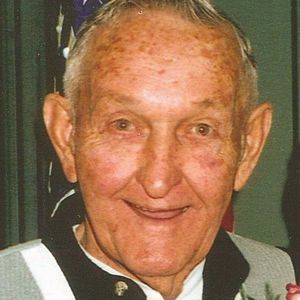 He was a proud Marine Corp veteran of WW II, Boy Scout Leader for over 35 years with the Cape May County Baysea District and a Silver Beaver participant. He was preceded in death by his beloved wife Elizabeth M. "Betty" Campbell in 2005. He is survived by his nephew George (Bunny) Smith of Medford, great niece Cori, dear friends; Esther, Paul, Elaine, Leslie & Donna, Skip & Dawn, Paul D., Lisa A., Ray & Betty Hughes and many other friends he has met along the way. Graveside service 2:00 pm, Friday, April 20, 2012 at Fairview Methodist Cemetery, Cape May Court House. In lieu of flowers memorial donations may be made to the Boy Scouts of America, 4468 South Main Road, Millville, NJ 08332-1464. I remember George & Bette well. My god parents were Mac & Elsie Ekstrom of Popular Ave. Wildwood. In the 50's my parents (Fred & Bert Loeffler), my brother & sister (Fred & Linda Loeffler) and I spend wonderful times with Mac/Elsie, Geo/Bette watching the fights, eating cinnamon buns from Marsh's Bakery. The stair landing in the Ekstrom house which we called "the stage" was where we always put on shows for them and made them laugh. What wonderful childhood memories! Will always remember George & Bette with fondness.